Man wanted on sexual assault, kidnapping charges surrenders to police | Crime Stoppers of the Lowcountry: 554-1111 | 1-888-CRIME-SC | Anonymous tips earn cash rewards with Crime Stoppers of the Lowcountry. UPDATE:The Charleston County Sheriff's Office says a man wanted for sexually assaulting a 17-year-old girl while presenting a knife turned himself over to authorities. Corey Bernard Hymes, a.k.a Troy Antonio Brown, turned himself over to authorities around 6:30 p.m. on Tuesday and is being charged with two counts of criminal sexual conduct and one count of kidnapping. CHARLESTON, SC (WCSC) - The Charleston County Sheriff's Office is looking for a man they say sexually assaulted a 17-year-old girl while presenting a knife. Corey Bernard Hymes, a.k.a Troy Antonio Brown, is charged with two counts of criminal sexual conduct and one count of kidnapping. According to an affidavit, Hymes is wanted for allegedly sexually assaulting a 17-year-old girl while presenting a knife on Feb. 27. 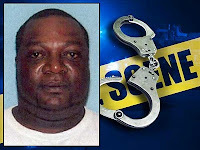 According to the Charleston County Sheriff's Office, Hymes has long criminal history, which includes being found not guilty of murder in 1996. He is known to carry knives and guns, according to police.